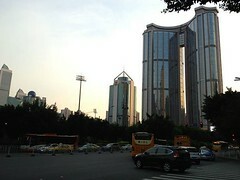 Going to be in Guangzhou for the 9th and 10th for work. Not sure if I will be able to connect to wordpress (I wasn’t able to log in when I was in Shanghai), so I timed this post to be published around 1030AM Hong Kong Time. However, unless I can connect to wordpress via my laptop, don’t think I will be able to post much in the next couple of days. Will try my best! Anyways, this is not my first time to Guangzhou, definitely not going to be the last. Don’t think we will be doing much since it’s only going to be for two days, most likely will try to get a massage session in. That’s it! Ciao!